When a file or folder is deleted, it is removed from the system’s visible folder structure, but it is not permanently deleted. Instead, these items are flagged for deletion, but can be restored if necessary, depending on the organization's policy settings. For more information on setting policies, please reference the How to Create and Configure Organization Policies Knowledge Base article. Alternatively, administrators and end users can permanently delete files and folders to reclaim storage. Note: When a file or folder has been permanently deleted, you can longer restore or recover that item. Administrators can manage all roots in the administrative web portal. 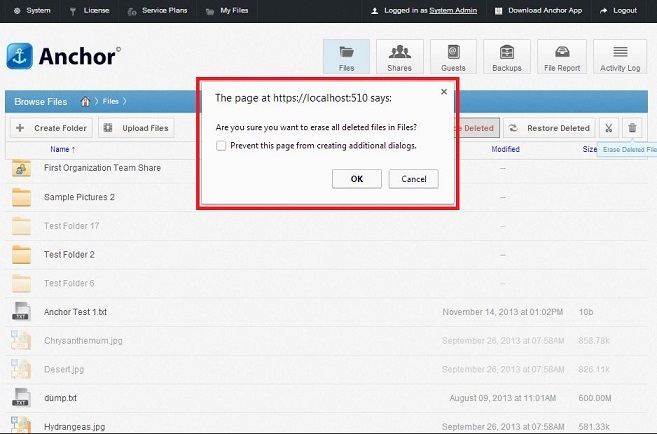 When managing roots, administrators can optionally delete content that is no longer needed. For information on different root types, please reference the What is a Root Knowledge Base article. Click the appropriate organization drop-down menu and select Roots. 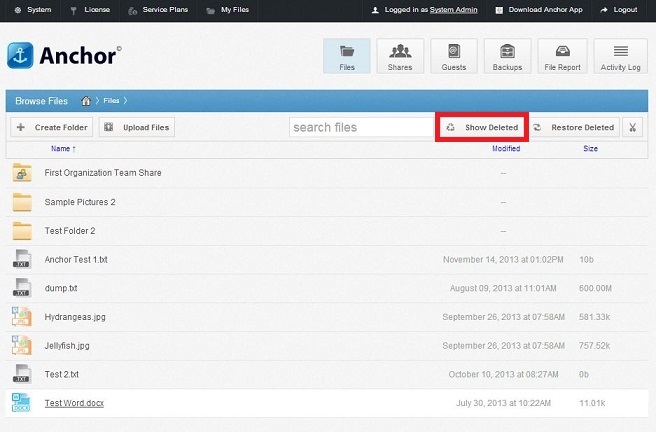 In the Root page, find the appropriate personal root folder and click the Browse button. In the user's Browse Files page, you can delete content as appropriate. 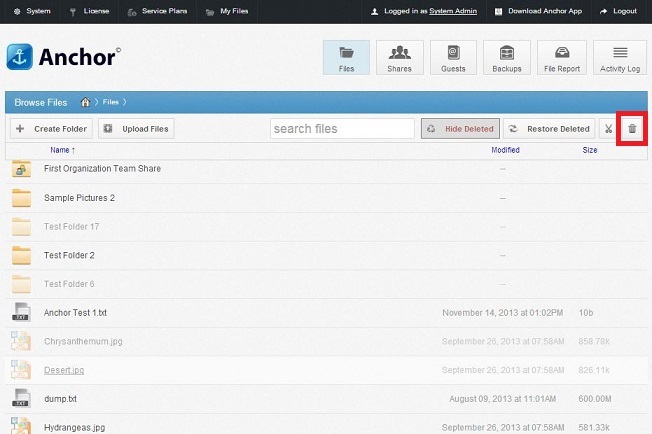 End Users can manage all of their files and folders in the Browse Files page of the web portal. In the web portal, click the Files tab. The Browse Files page displays. In the Browse Files page, click the Show Deleted button. Files and folders that have previously been deleted will display as semi-transparent. To permanently delete one single file or folder, right-click the item and select Permanently Delete. After these files and folders have been permanently deleted, storage space will be reclaimed.